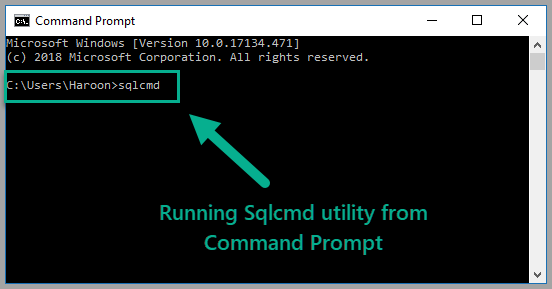 This article is about developing a basic understanding of sqlcmd utility to run T-SQL commands directly from the command prompt without the need of SSMS (SQL Server Management Studio). The article also highlights the importance of using a lightweight sqlcmd utility to perform some basic database tasks that would otherwise require getting connected to the database through a pre-installed database tool such as SSMS (SQL Server Management Studio) or SSDT (SQL Server Data Tools) followed by getting it ready to run SQL scripts against the desired database(s). 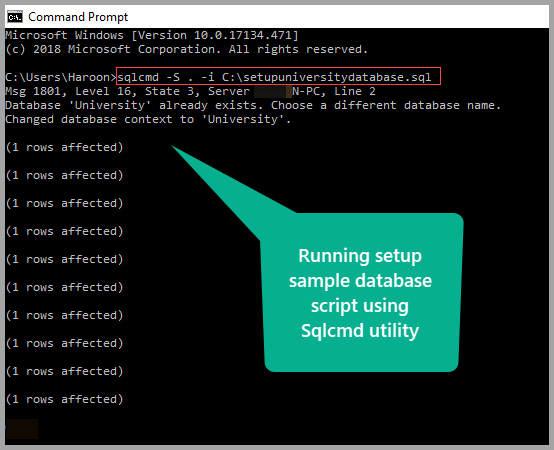 The sqlcmd utility can be a real time-saver for database developers and DBAs since they can straight away run the required SQL scripts from the command-line. Let us begin by getting familiarised with the sqlcmd utility and its uses. 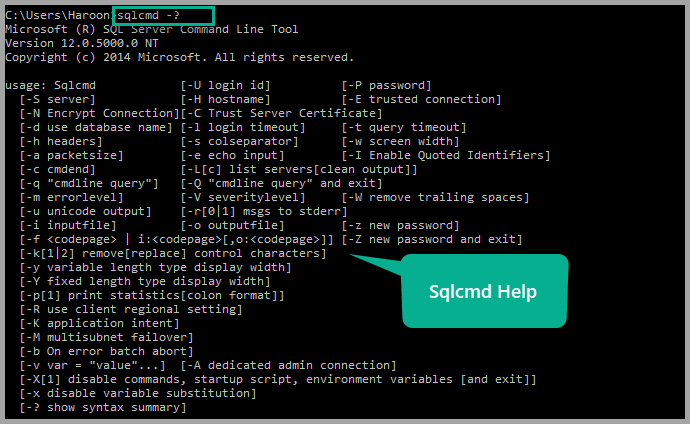 The sqlcmd utility is a command line tool that lets you run T-SQL commands directly from the command prompt. 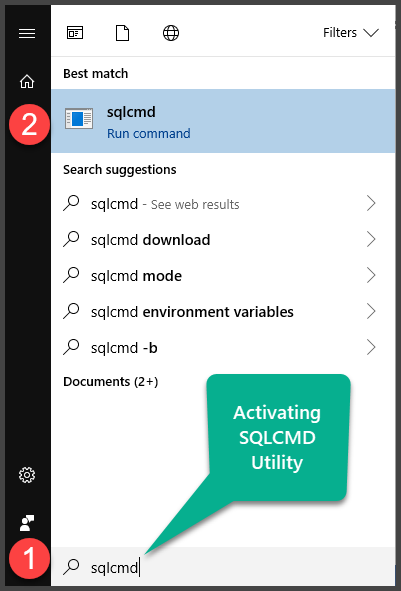 According to the Microsoft documentation, the sqlcmd utility is a command-line utility for ad hoc, interactive execution of Transact-SQL statements and scripts and for automating Transact-SQL scripting tasks. In order to use the sqlcmd utility, the user must have basic understanding of how to create and run T-SQL scripts. Please note that this method (typing sqlcmd only) works if you have an unnamed default SQL instance. 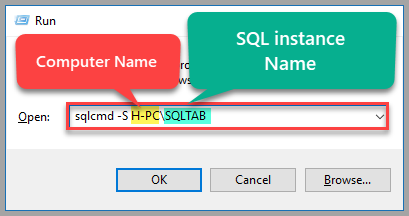 Please note this method (typing sqlcmd only) works if you have an unnamed default SQL instance, for named instance you have to specify the instance name. 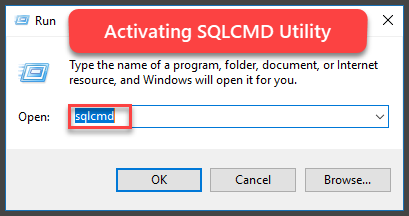 Note: Please note that typing “sqlcmd” in the command prompt window only works if you have a default unnamed SQL instance installed, otherwise you have to specify the name of the SQL instance to get connected to it through sqlcmd. You will instantly notice that the prompt has changed to 1>, which means you are now connected to the default instance of SQL Server. 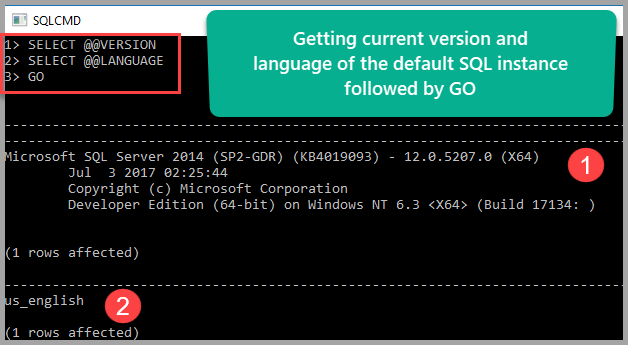 The sqlcmd utility (as it takes T-SQL commands directly) can help developers and DBAs in finding out the current version of their default SQL Server instance. It can easily be observed that the sqlcmd approach is faster as compared to the SSMS (SQL Server Management Studio) method. You might have noticed that in the sqlcmd mode we are running T-SQL commands followed by Go statement. Go serves as a batch terminator, which means all the queries before Go are executed in one go (at once) just like the way when we run multiple statements at once. Sqlcmd is not limited to getting connected with a default unnamed SQL instance only. 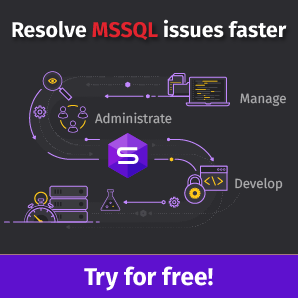 Sqlcmd comes with a number of server options in which one such server option is -S to connect to any named SQL Server instance. In the above example, H-PC is the name of the computer and SQLTAB is the name of the SQL instance. 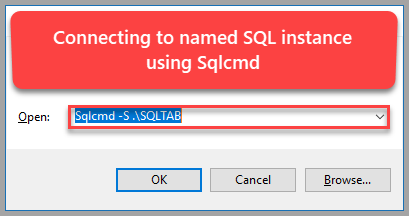 Let us now set up a sample SQL database using the sqlcmd utility. Copy the entire script and save it to Notepad as SetupUniversityDatabase.sql file in the C:\ drive for testing purposes. We use server option – i to get the script input from a file using the sqlcmd utility. Where “.” (dot) is a default unnamed SQL instance here, which can be replaced by a named SQL instance. All done! 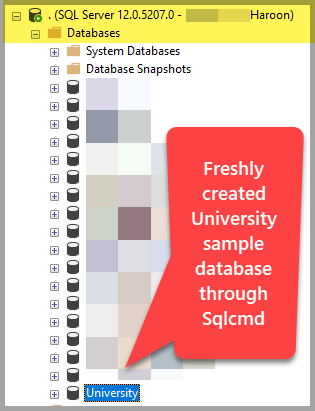 You not only got familiar with basics but also successfully learned to setup a sample database using the sqlcmd utility without even opening SSMS (SQL Server Management Studio) which is very handy in scenarios where an infrastructure team has to quickly setup environment including sample databases. 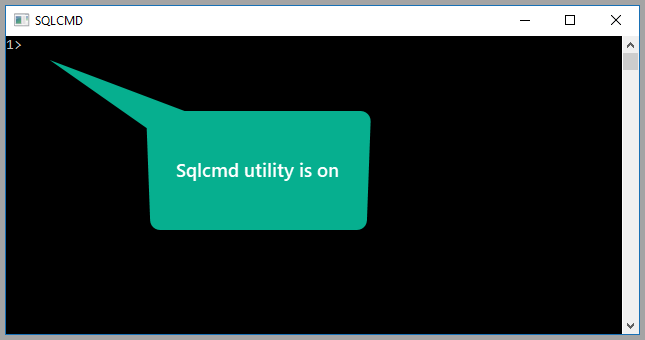 In the next article, we are going to discuss slightly advanced uses of the sqlcmd utility. Please try to create the sample database SQLBookShop mentioned in my article excluding the stored procedures mentioned afterward using the sqlcmd utility. Please try creating setup script for the SQLBookShop database including any one of the stored procedures mentioned in my article and run the script file through the sqlcmd utility. Please try to run the stored procedure created in step 2 using the sqlcmd utility.